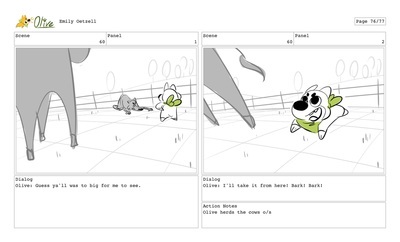 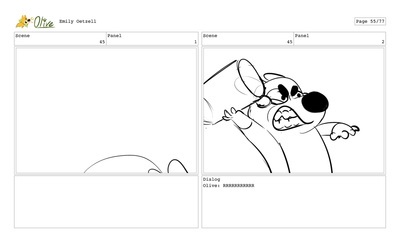 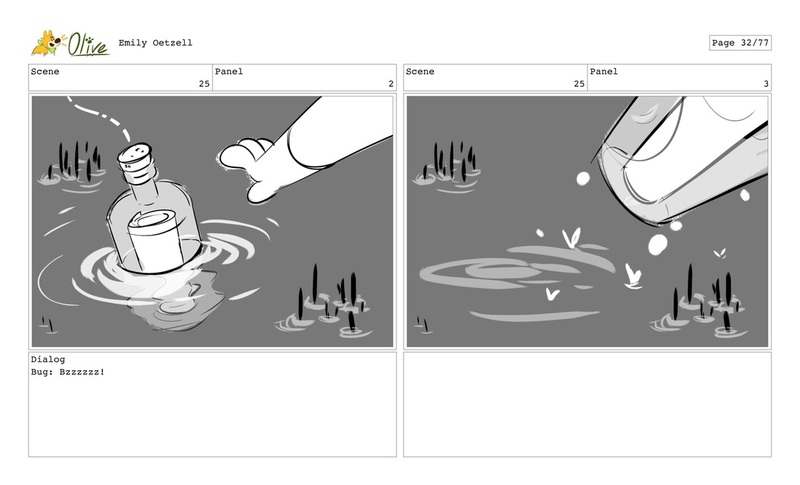 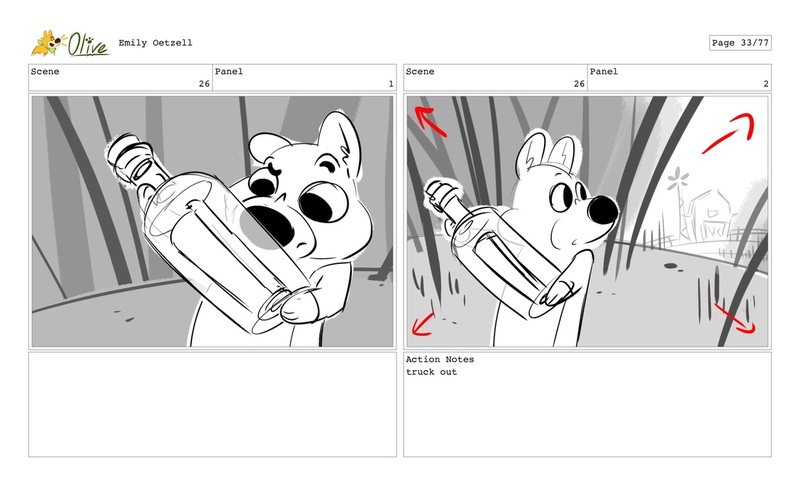 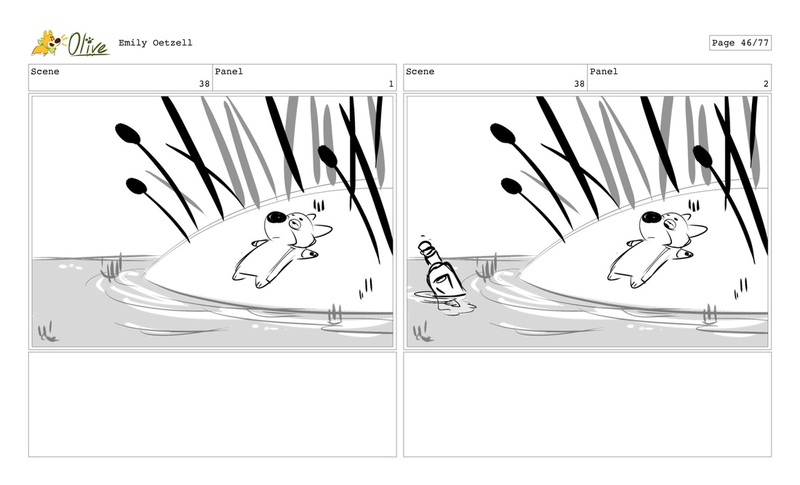 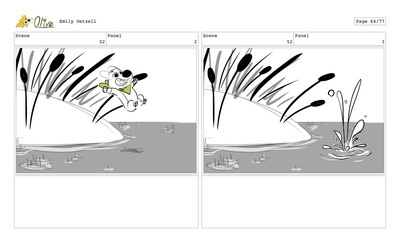 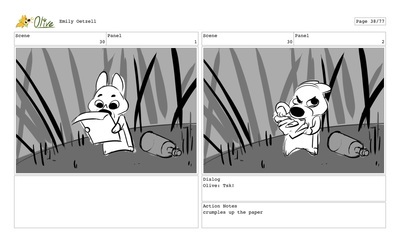 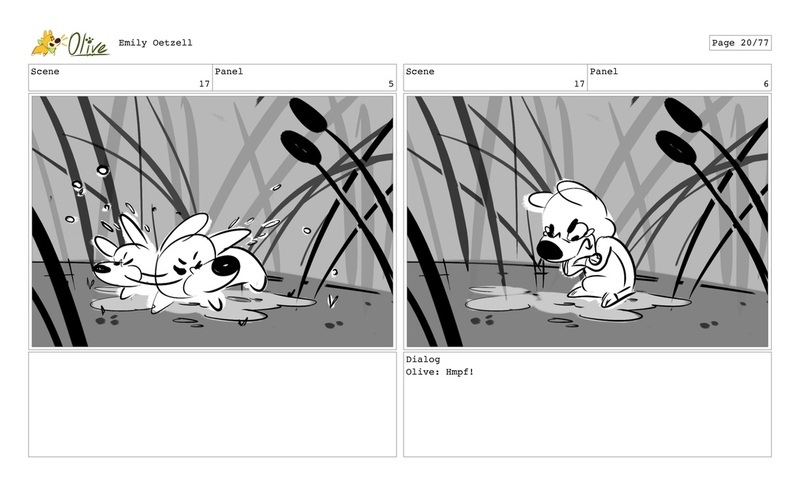 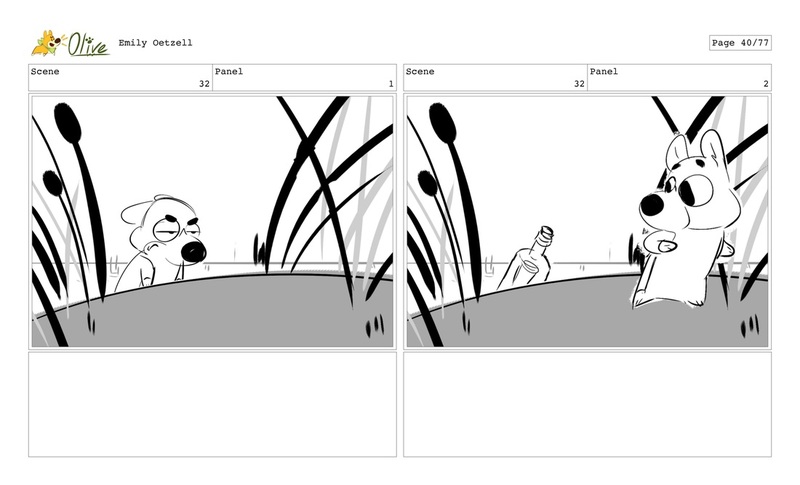 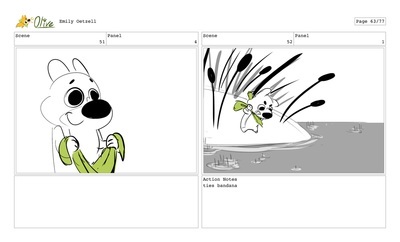 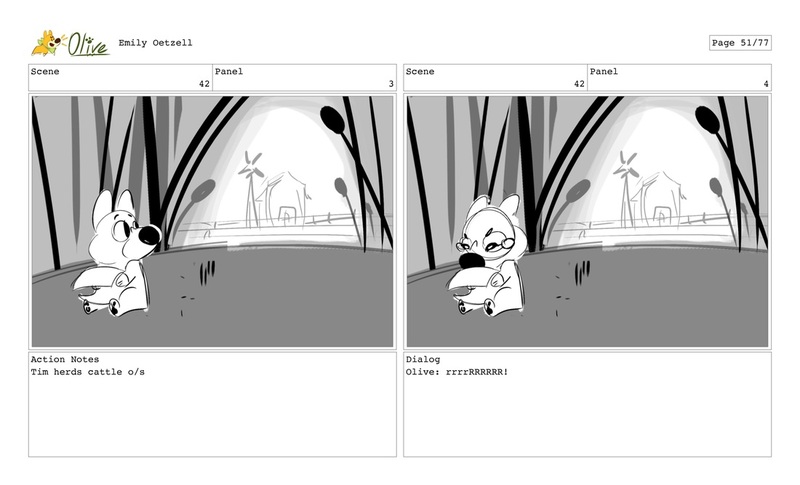 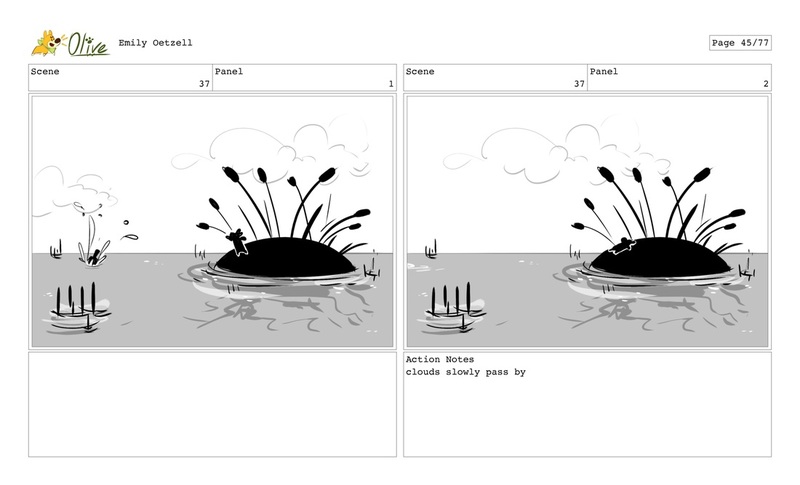 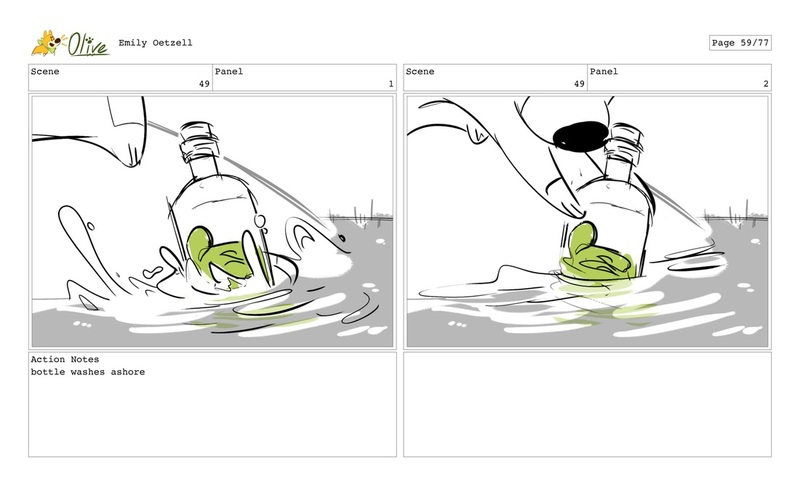 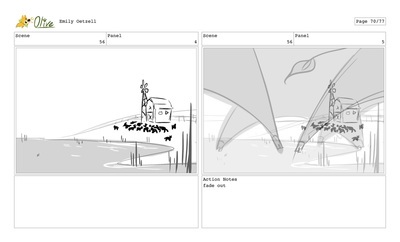 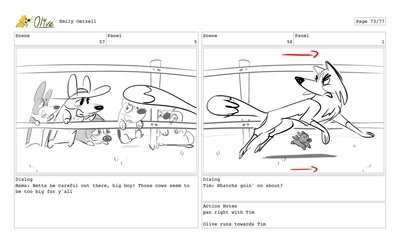 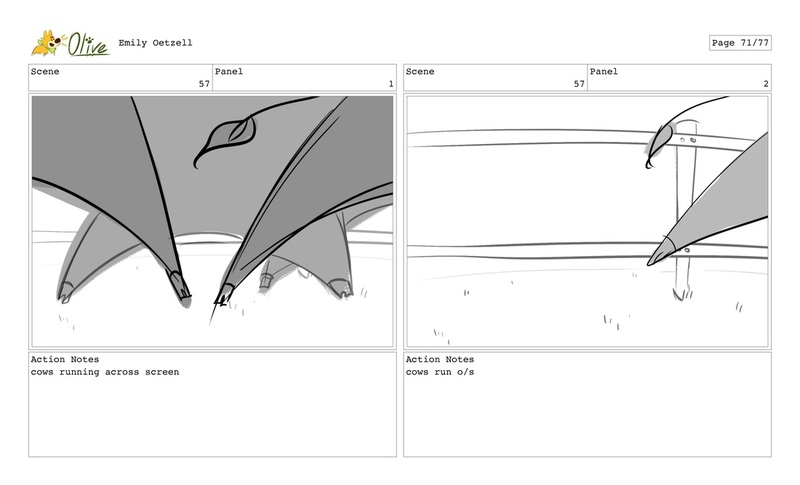 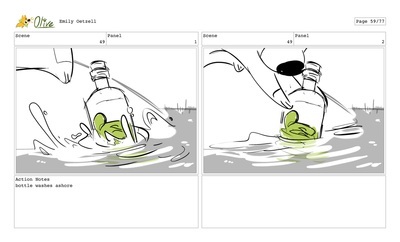 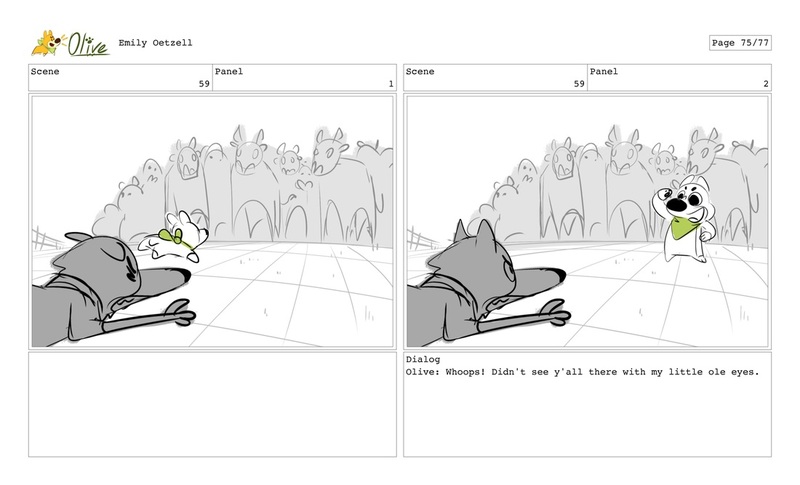 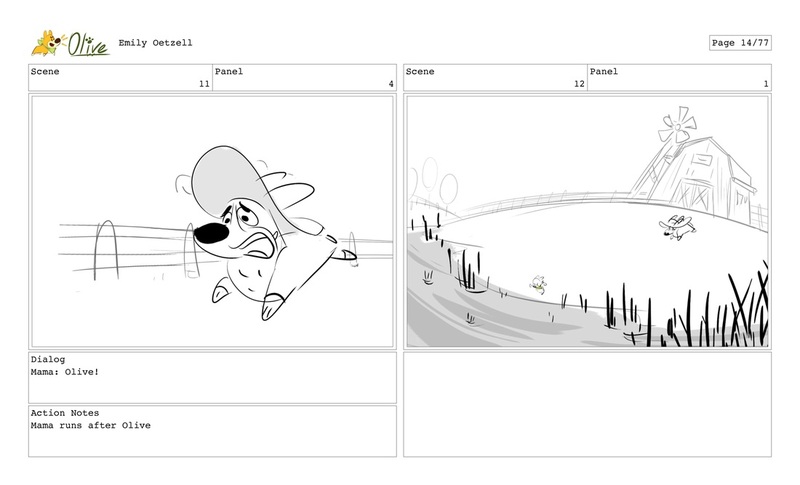 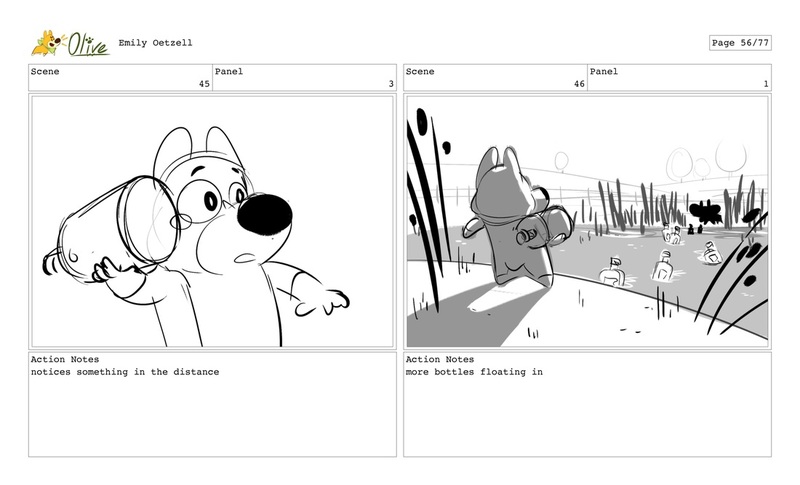 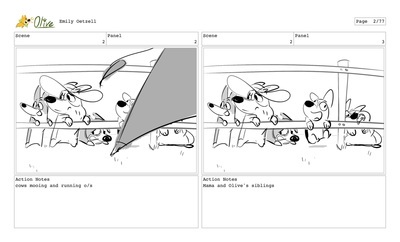 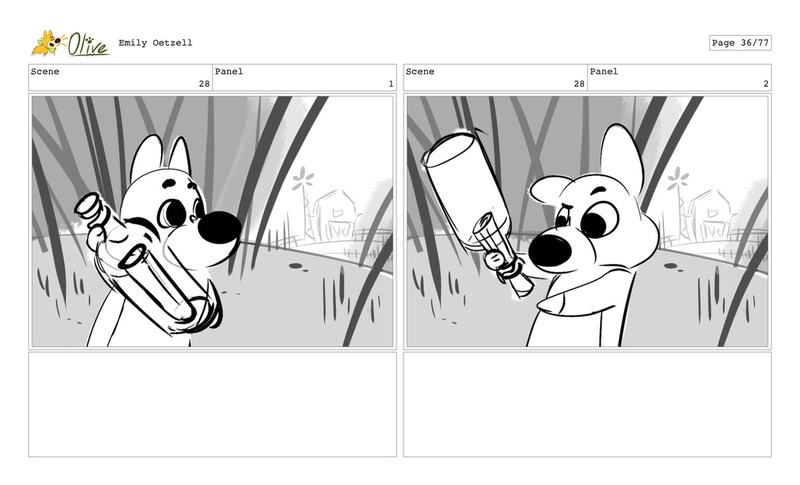 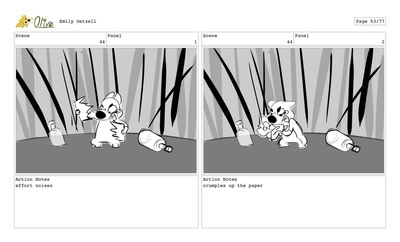 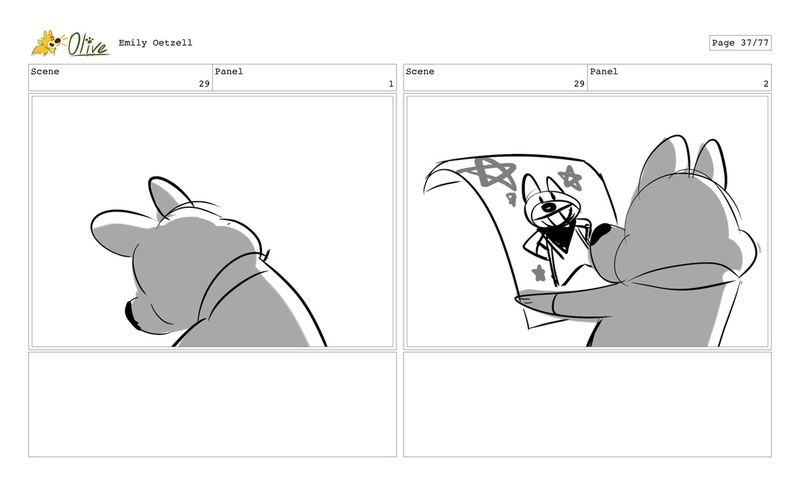 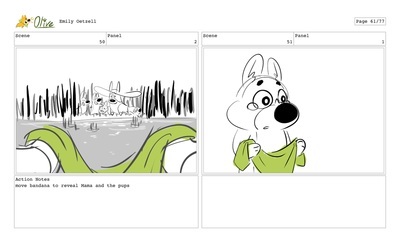 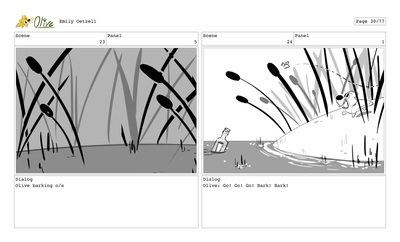 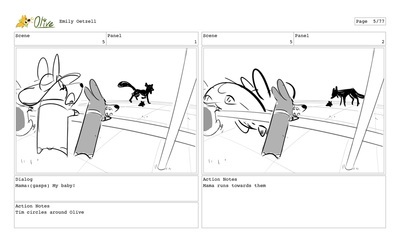 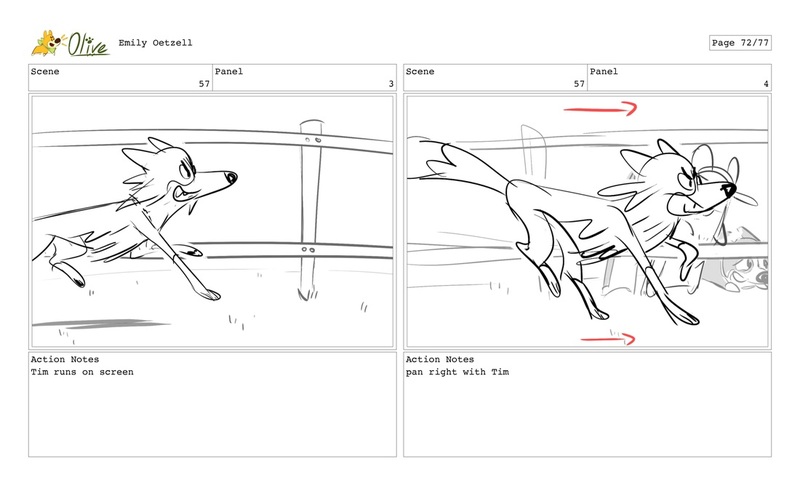 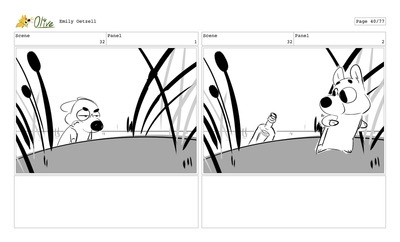 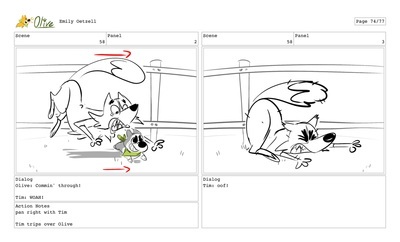 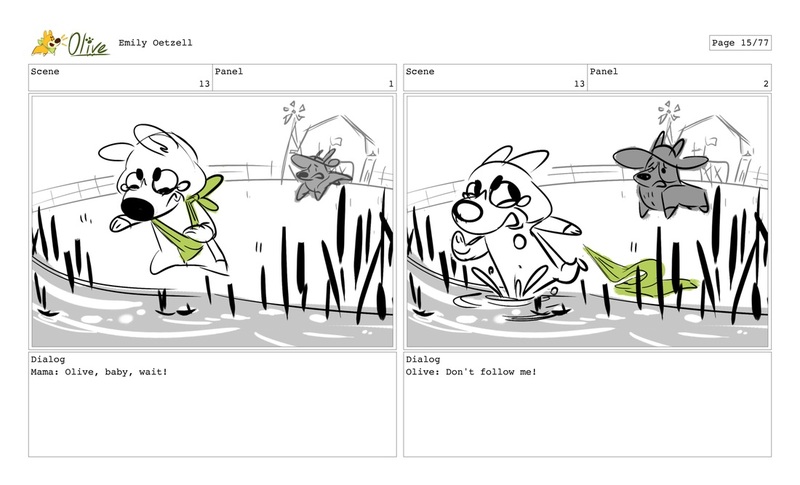 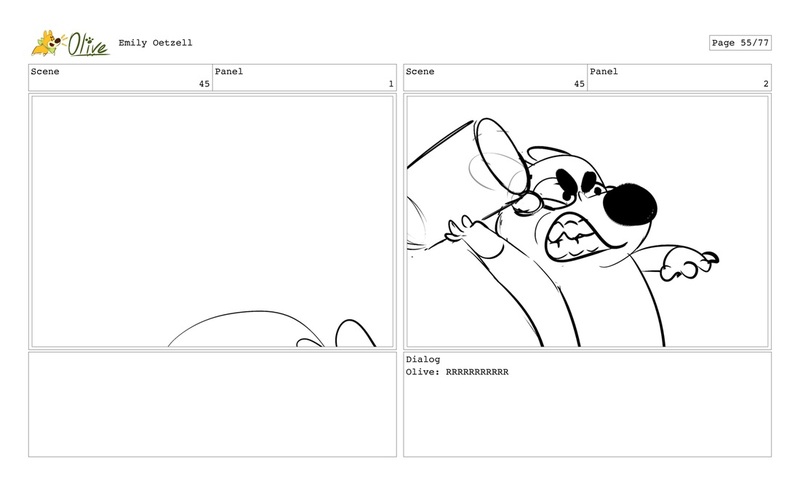 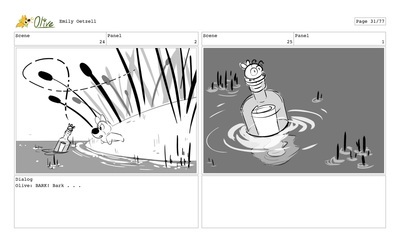 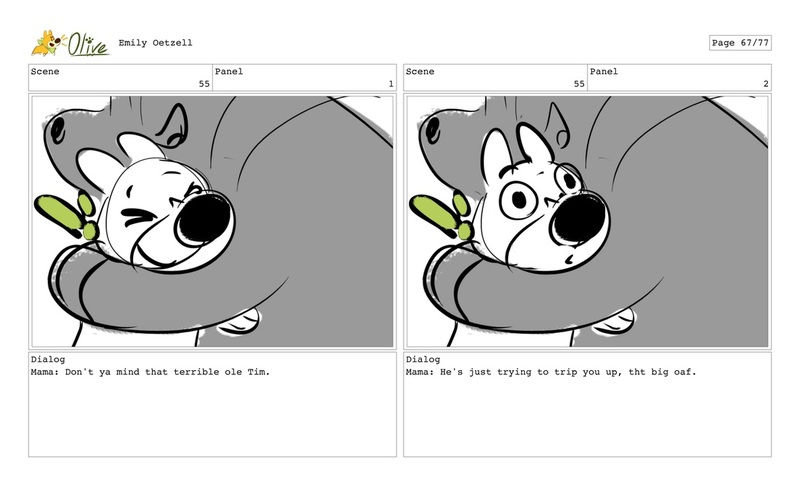 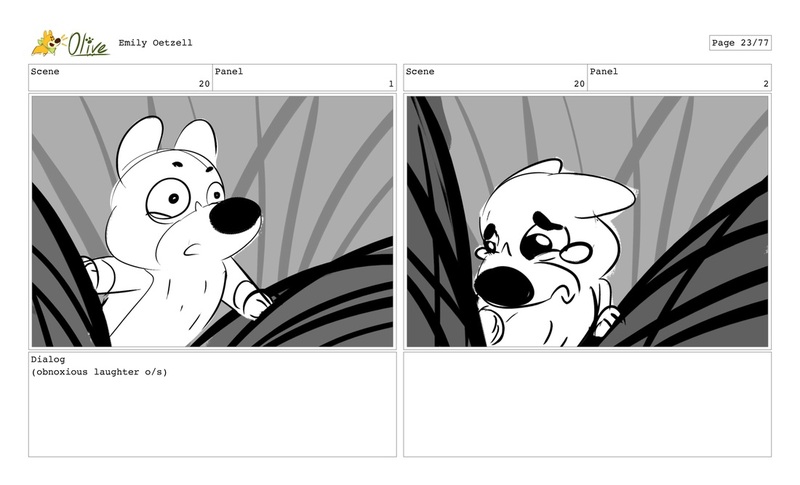 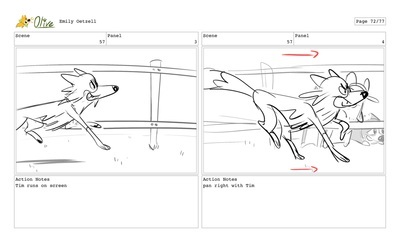 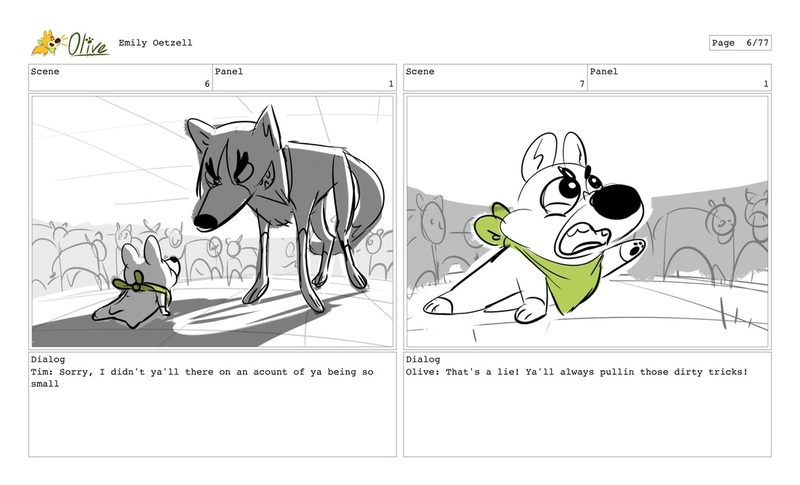 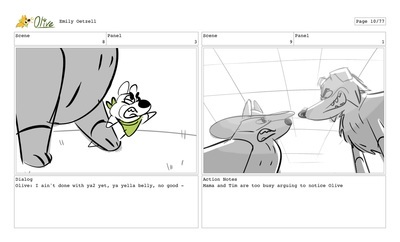 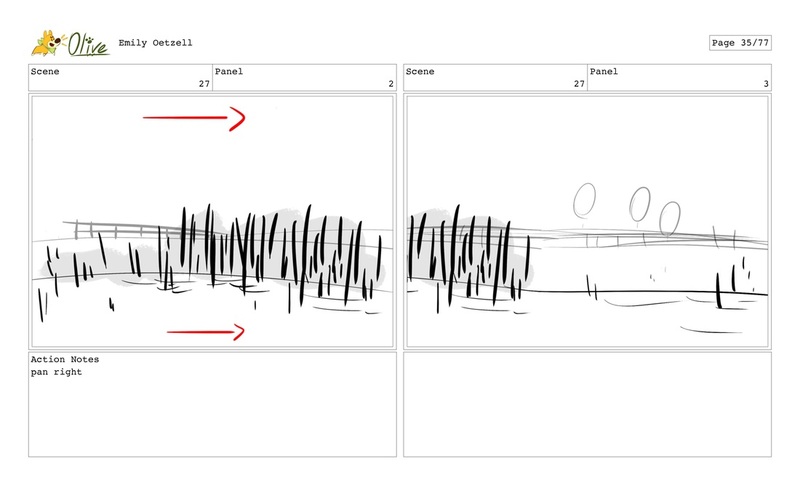 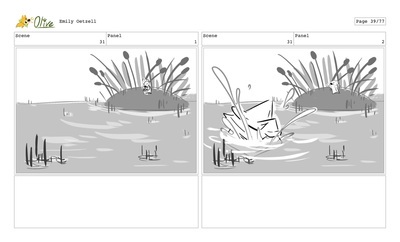 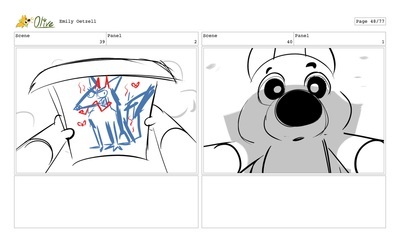 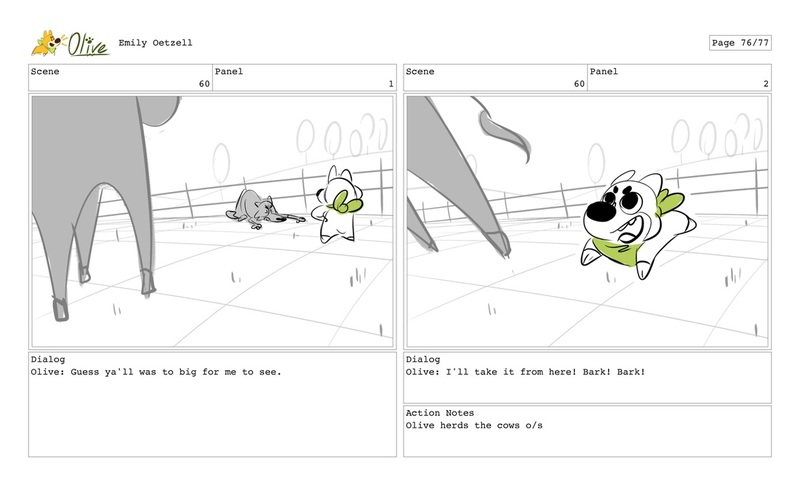 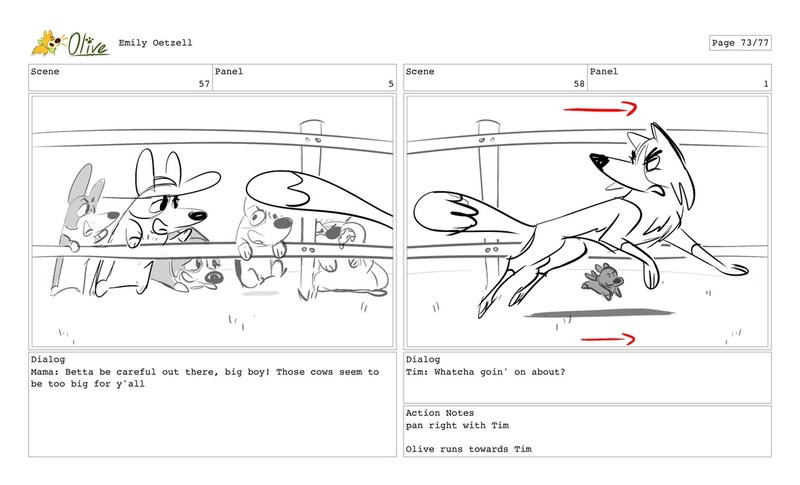 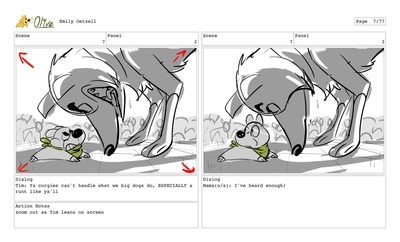 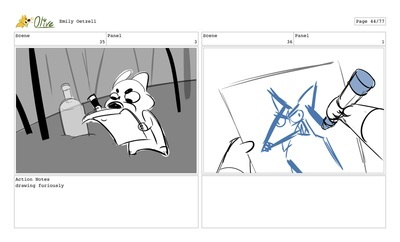 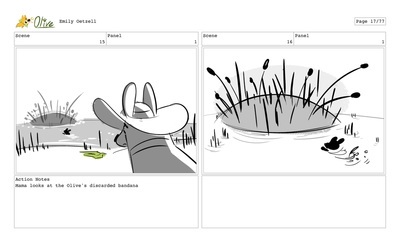 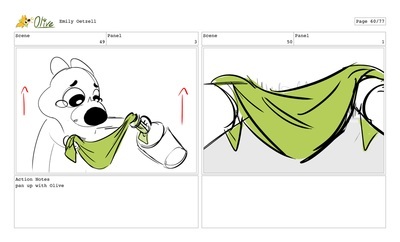 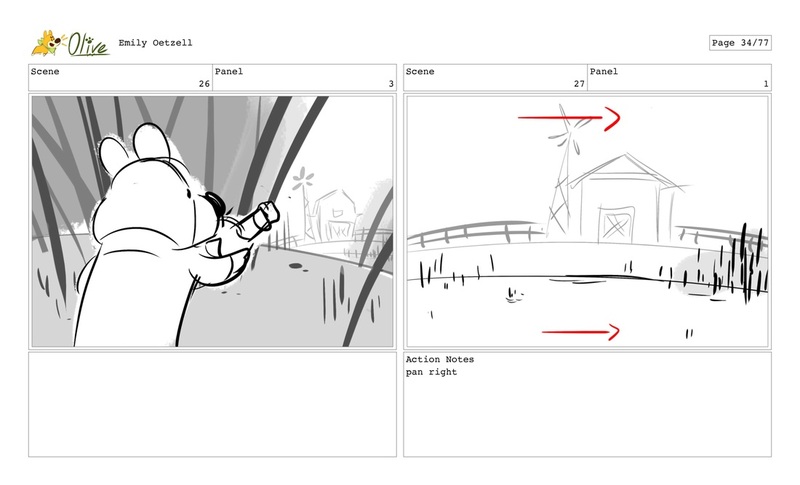 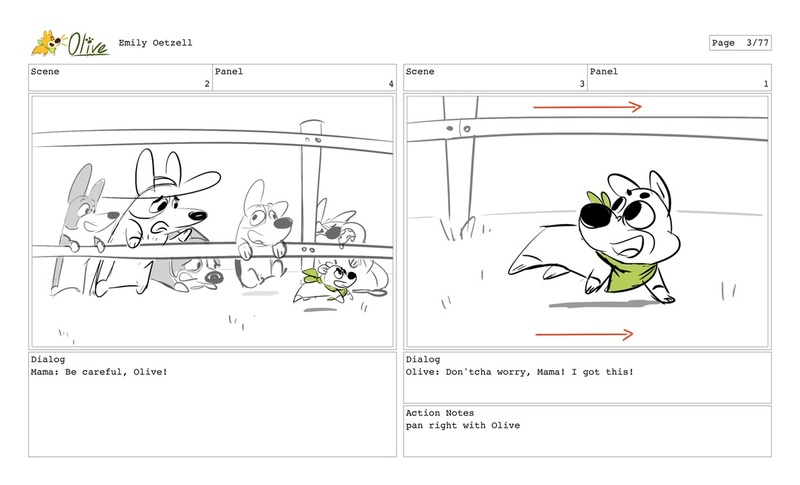 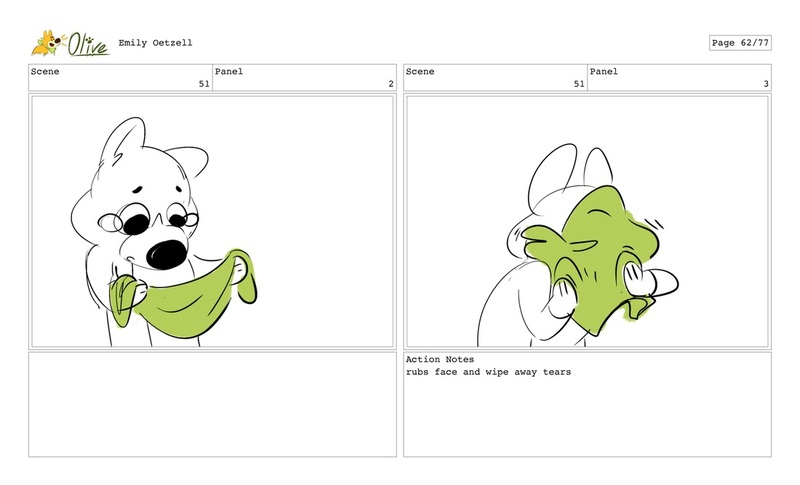 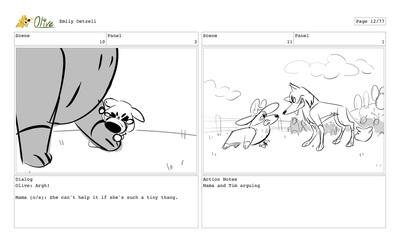 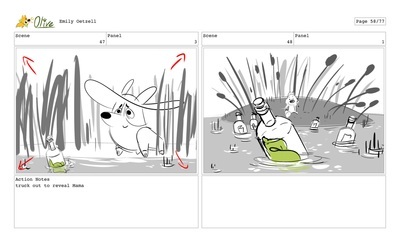 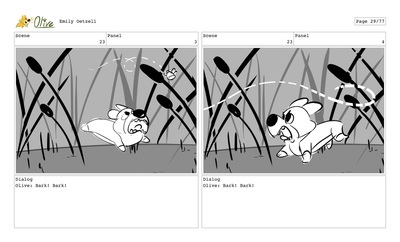 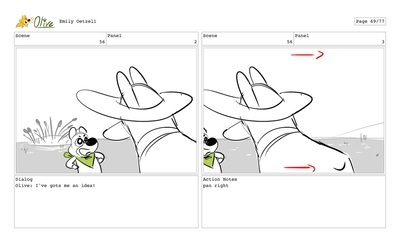 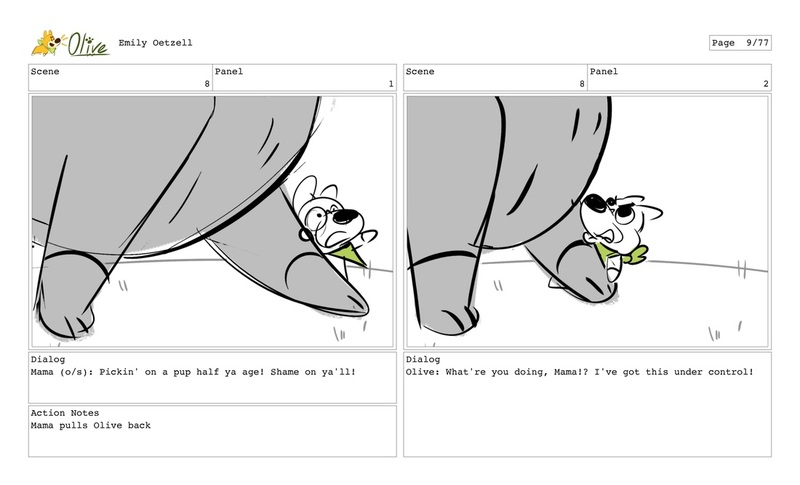 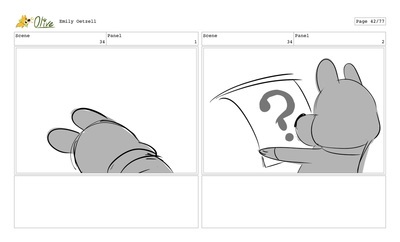 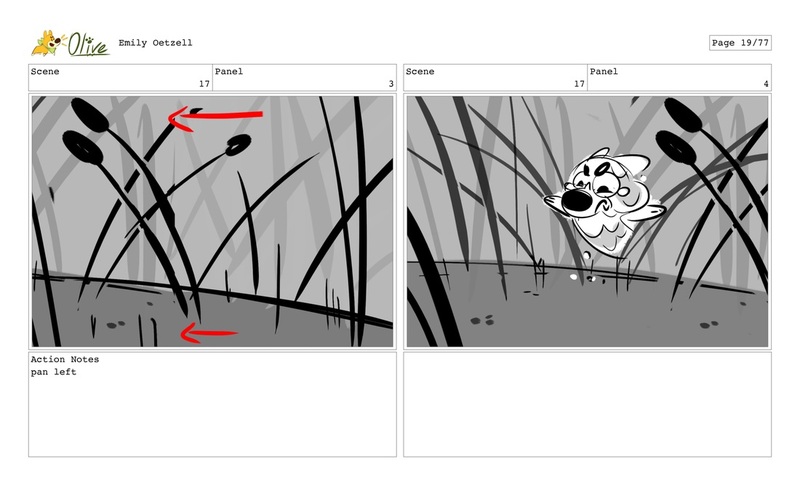 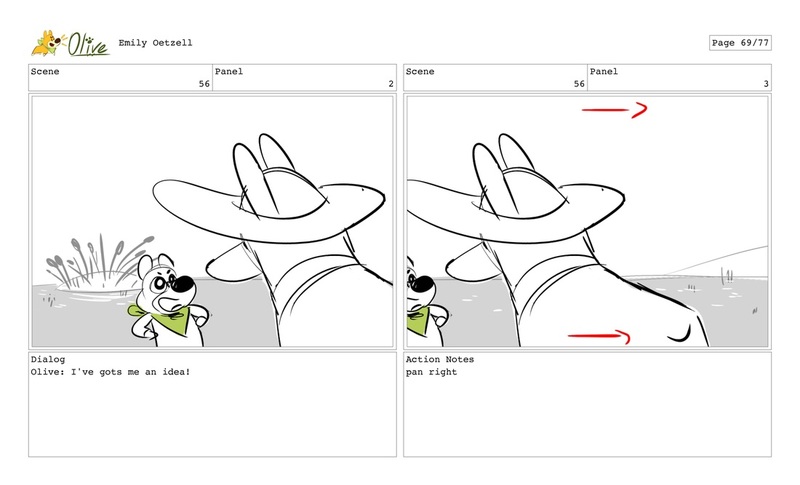 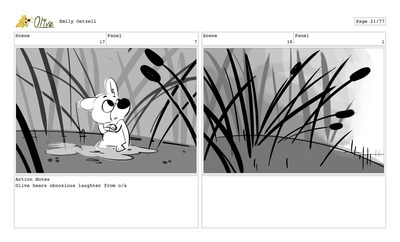 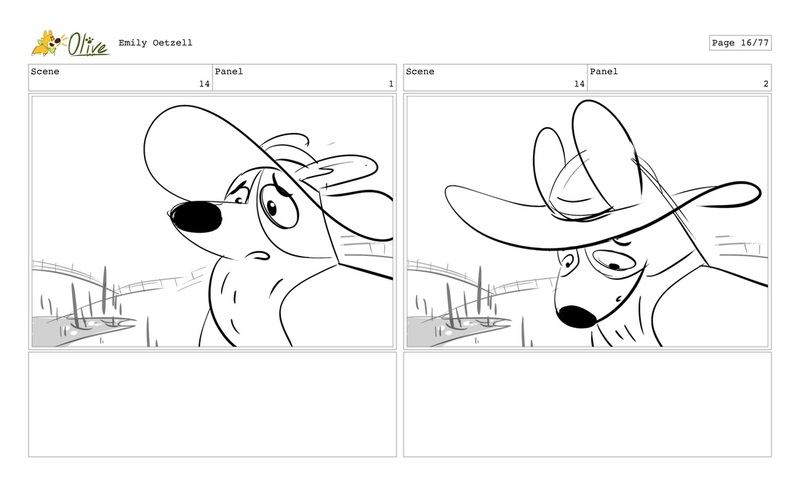 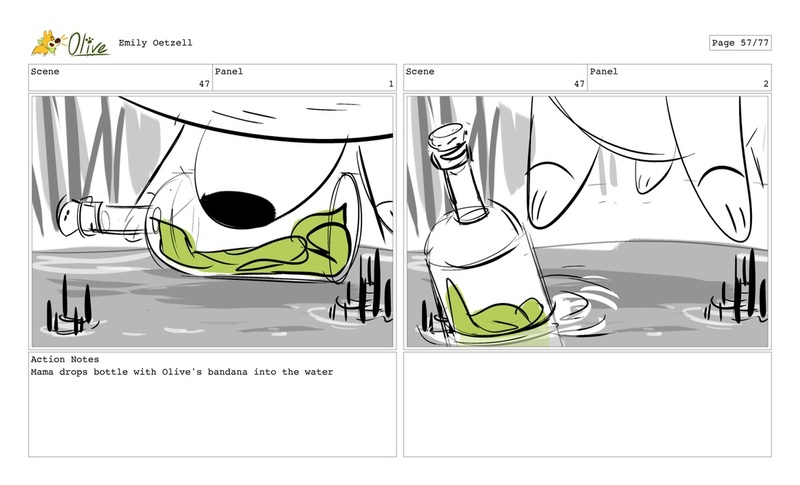 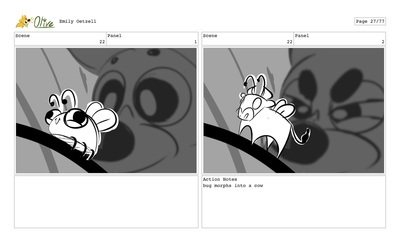 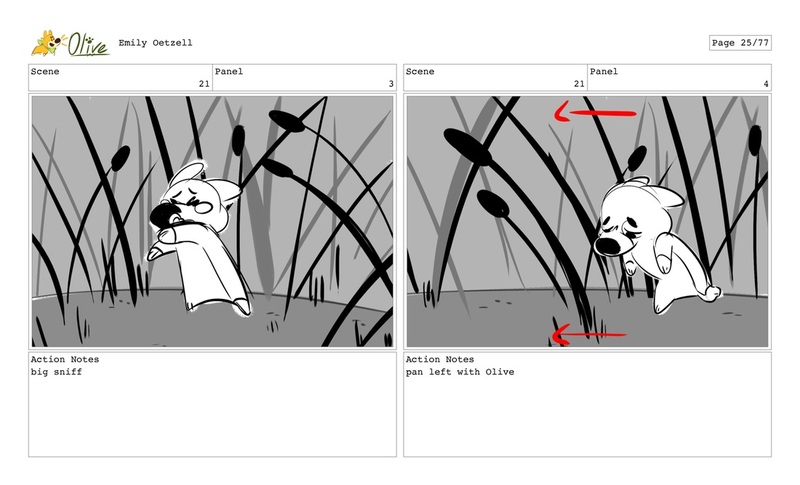 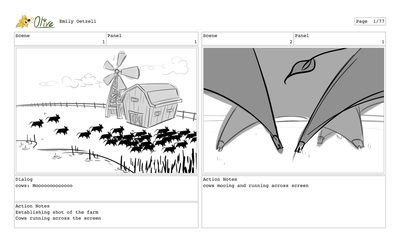 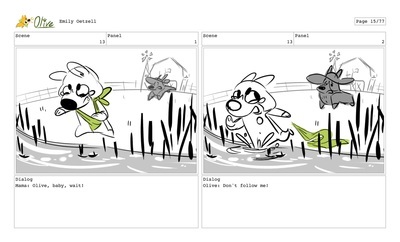 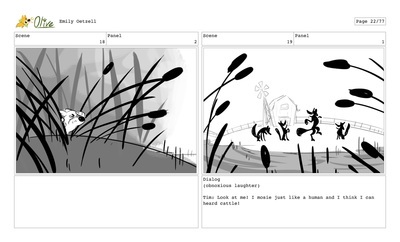 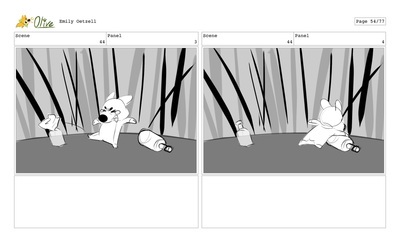 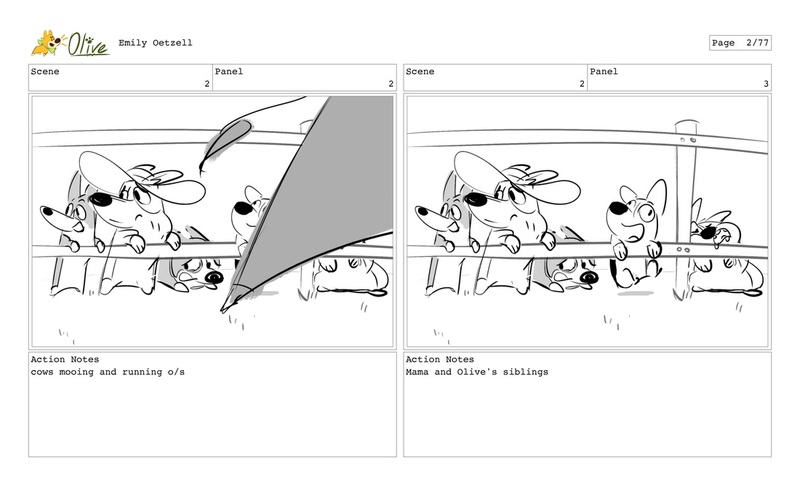 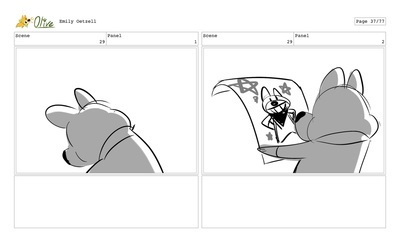 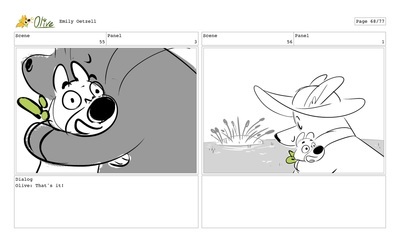 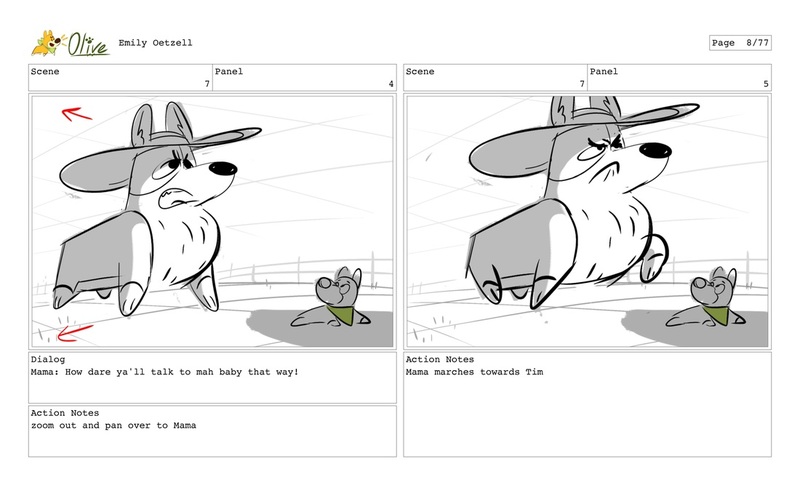 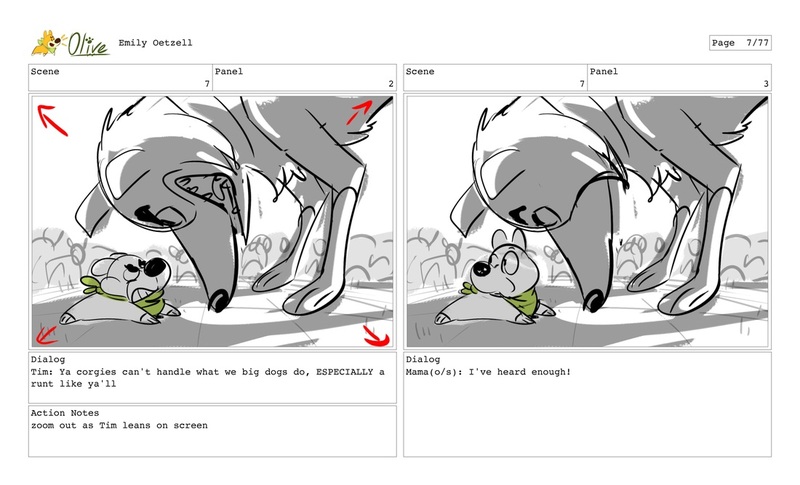 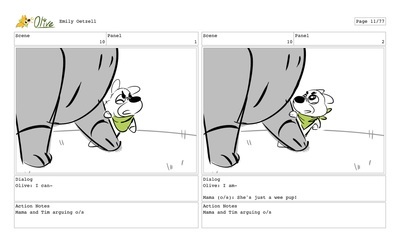 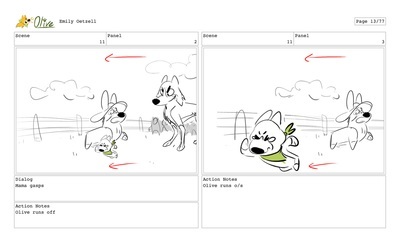 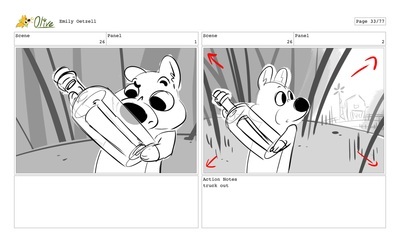 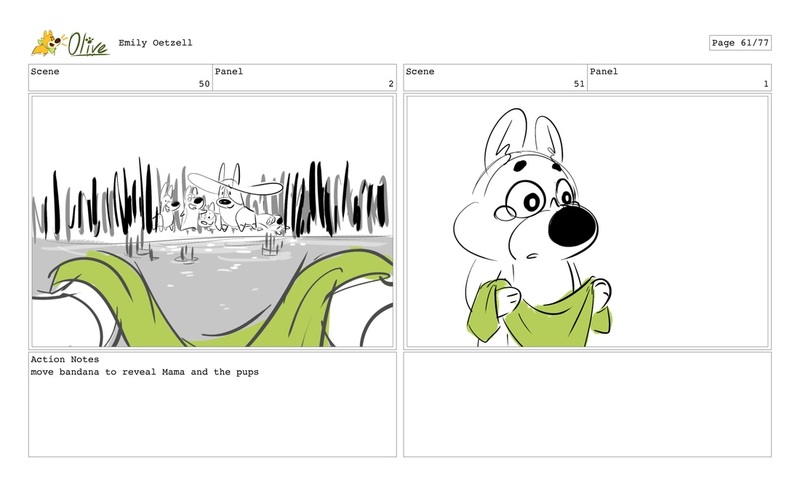 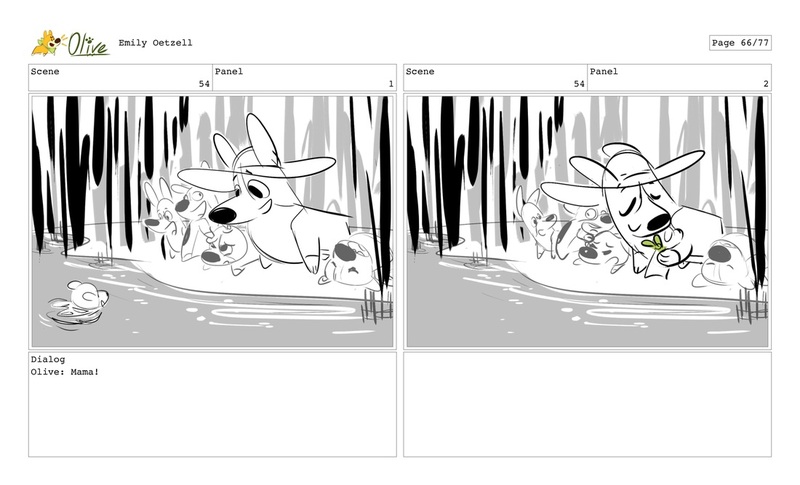 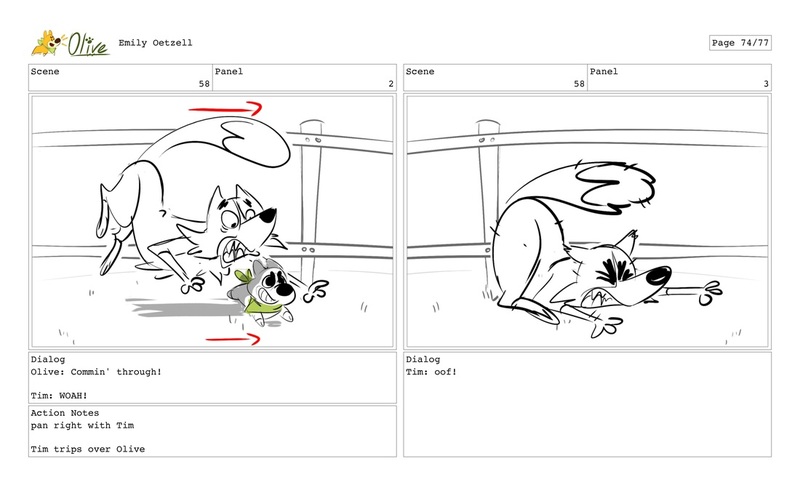 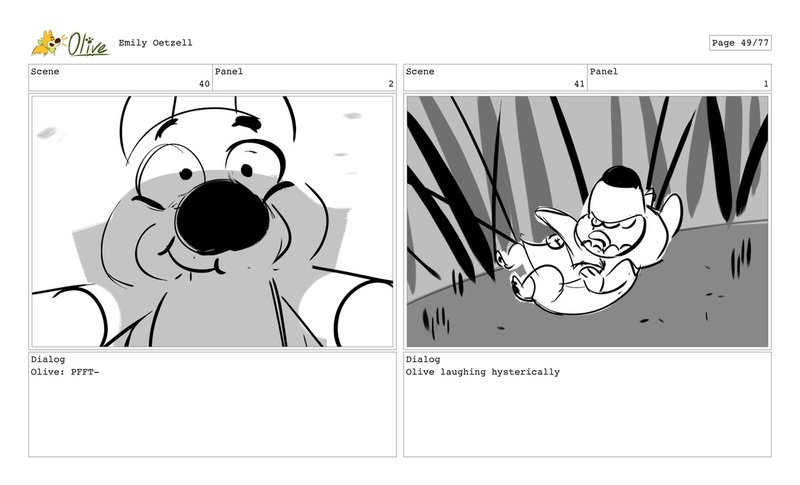 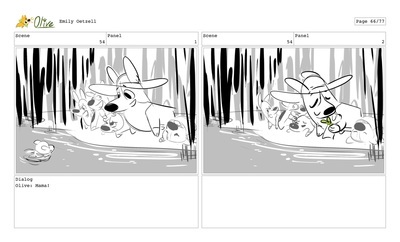 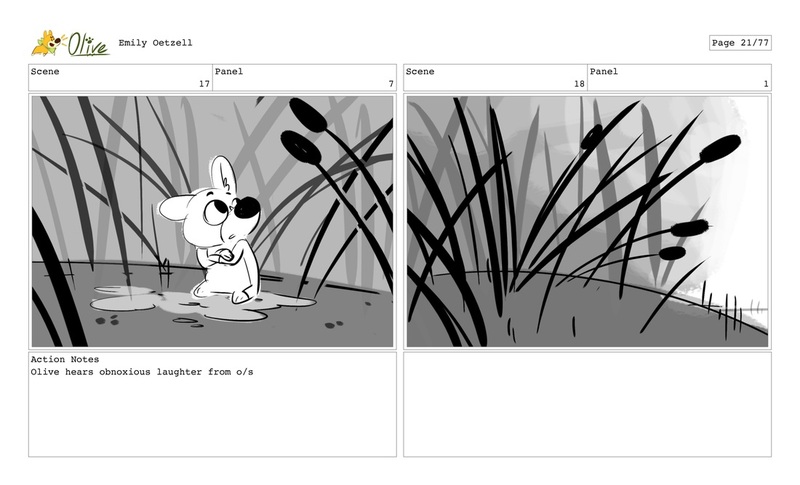 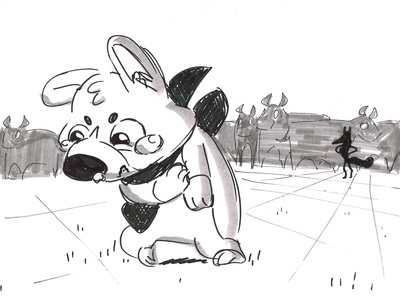 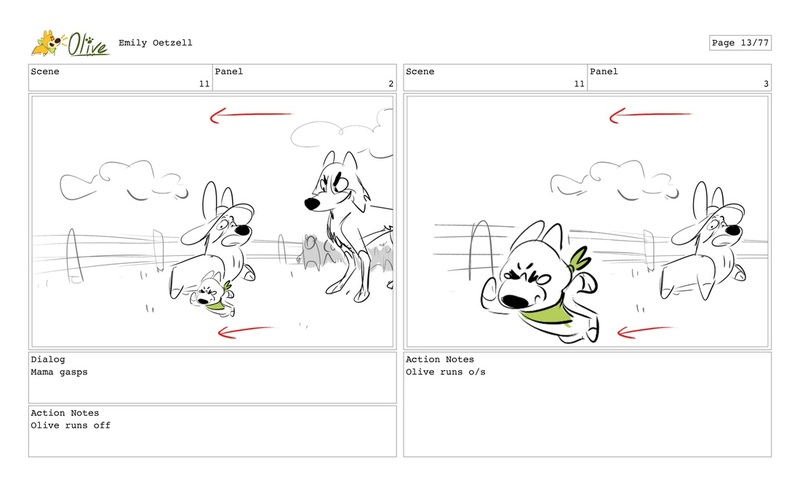 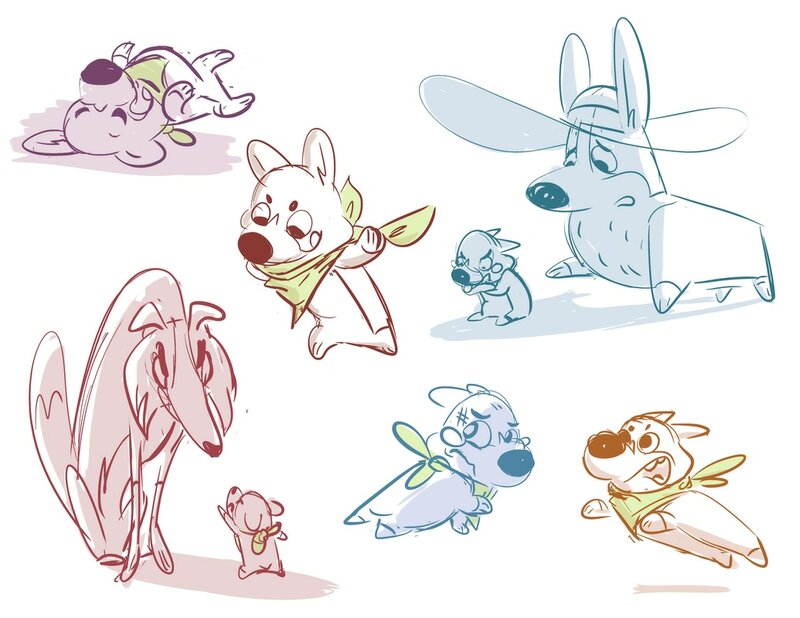 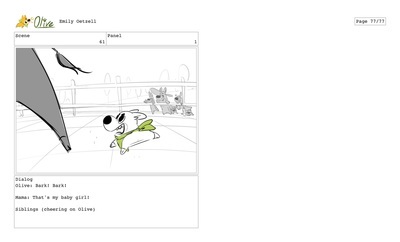 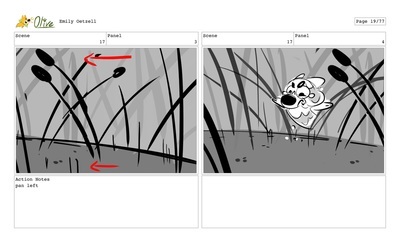 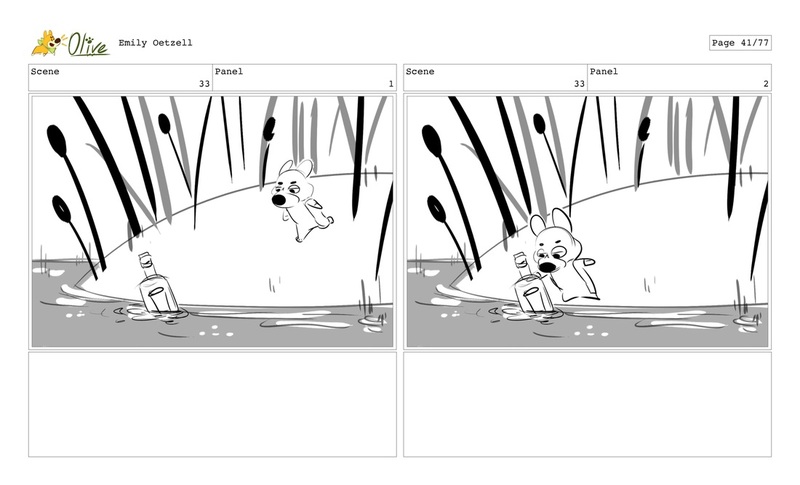 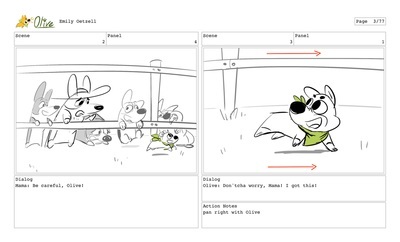 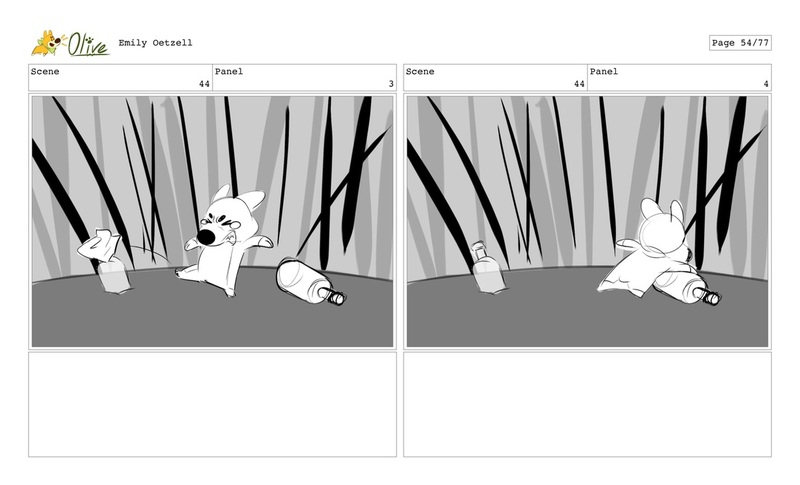 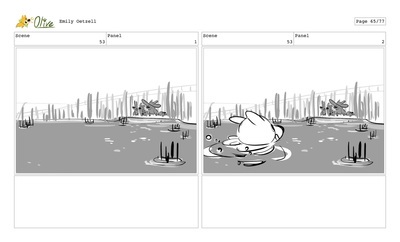 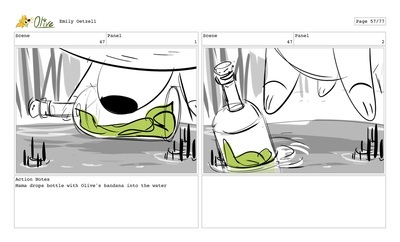 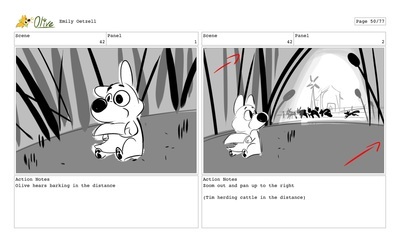 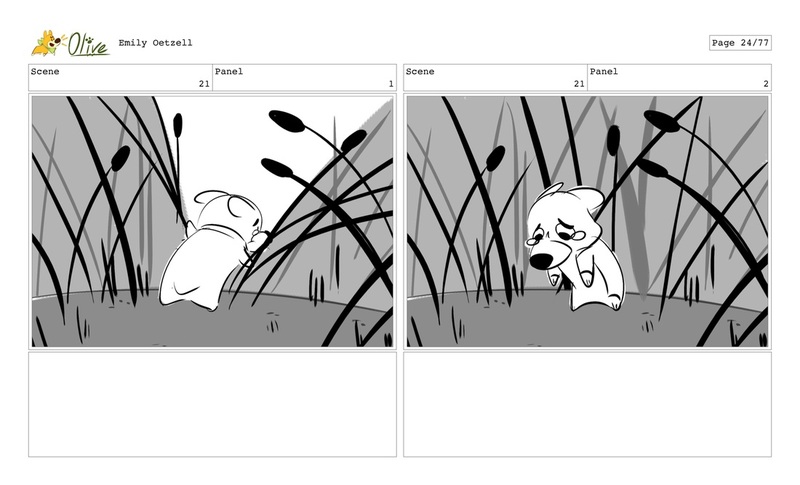 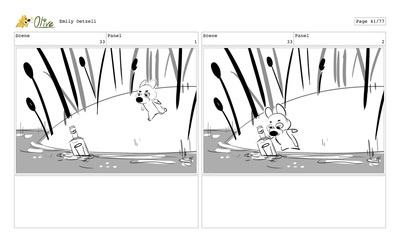 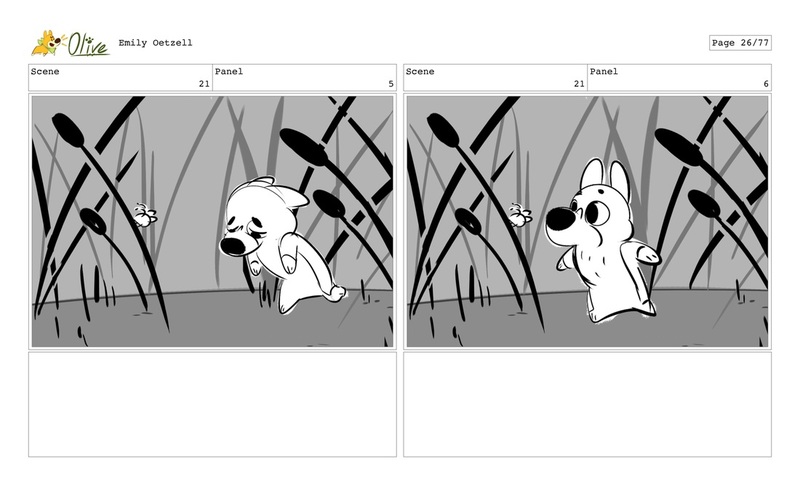 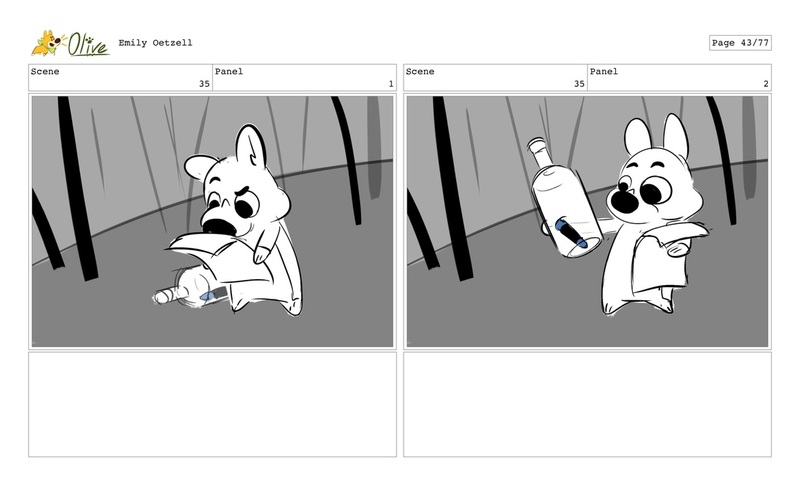 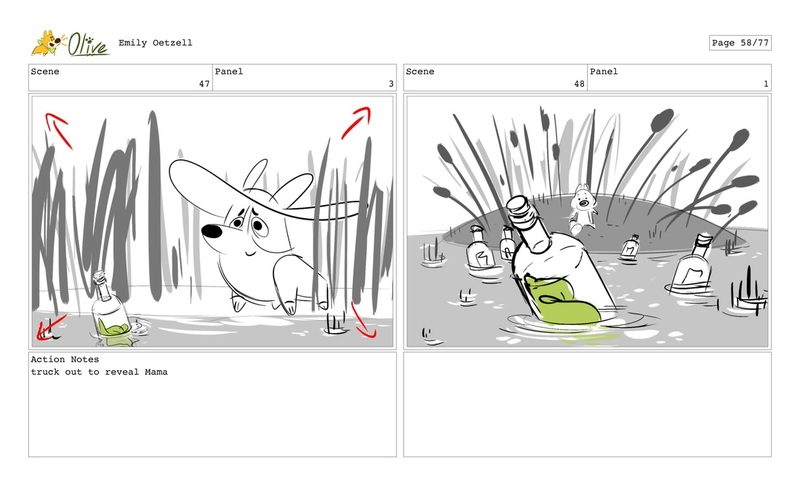 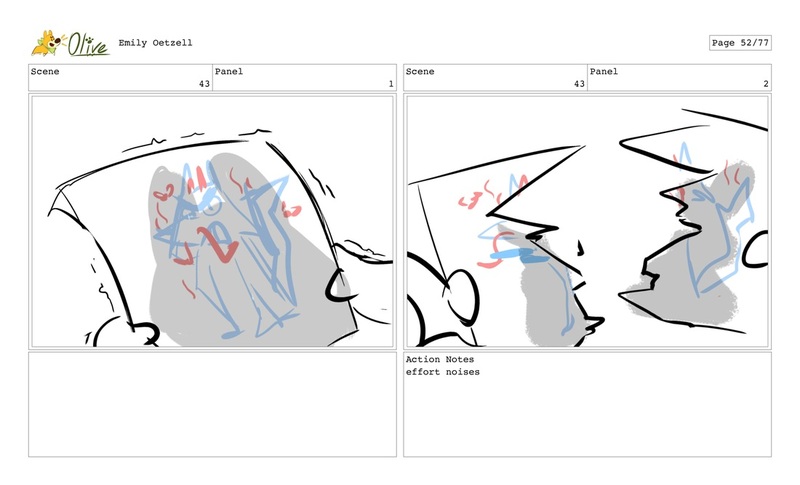 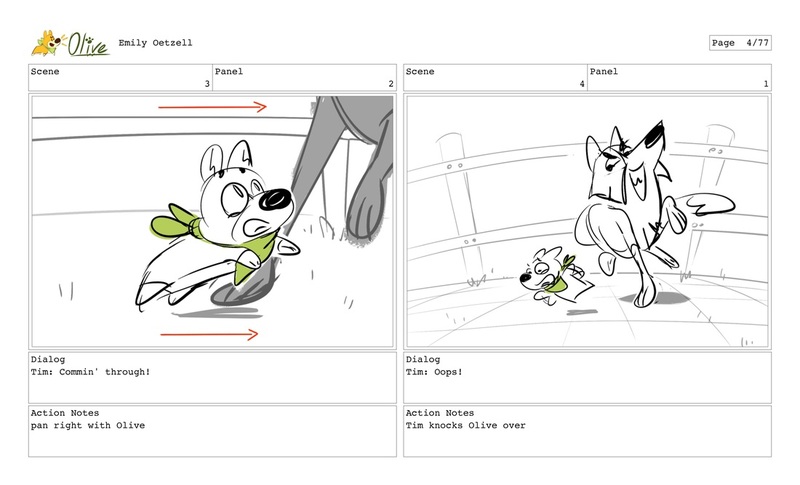 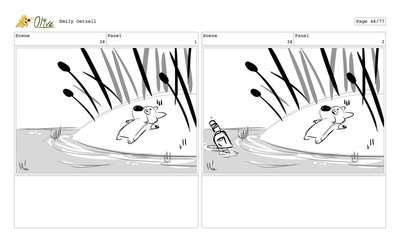 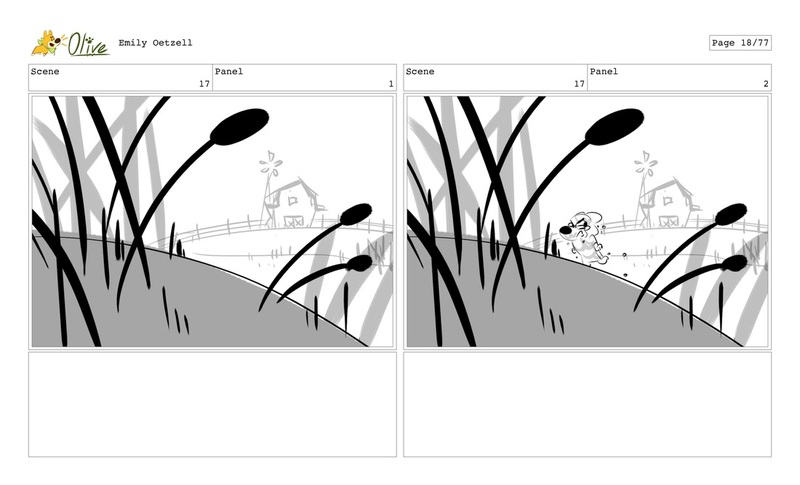 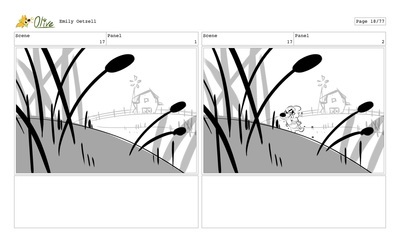 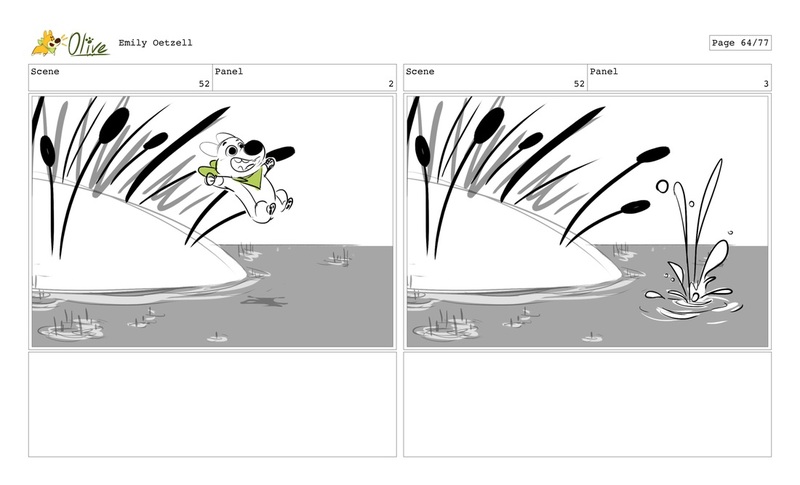 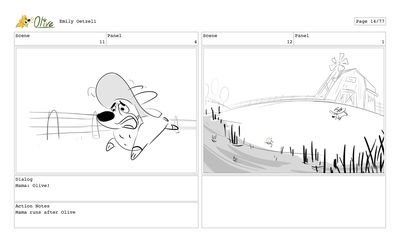 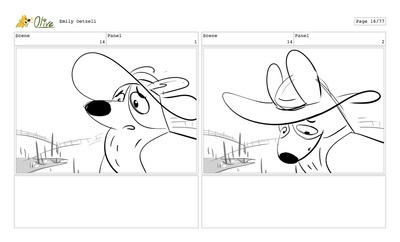 ​These are the boards I did at Pixar at CCA: New Voices in Animation. 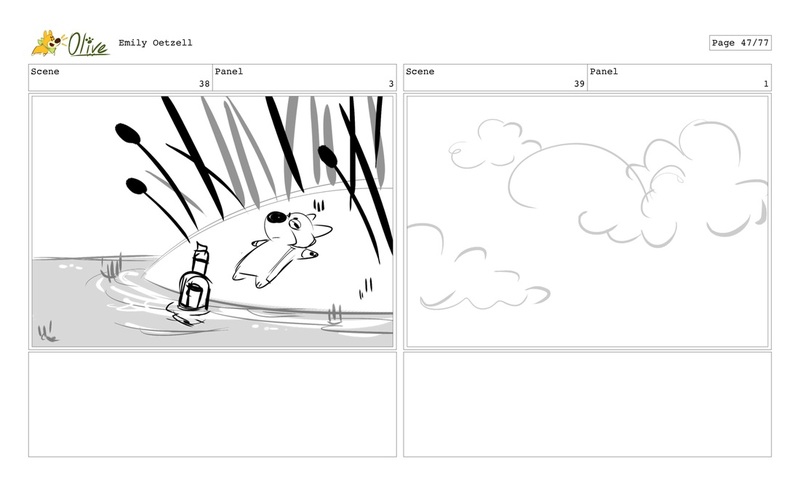 We were given a prompt and an emotion to end on and mine was "stuck on a deserted island" and "happy." This was my first time boarding entirely traditionally and though it was challenging, it helped me be a lot looser in both drawing and planning! 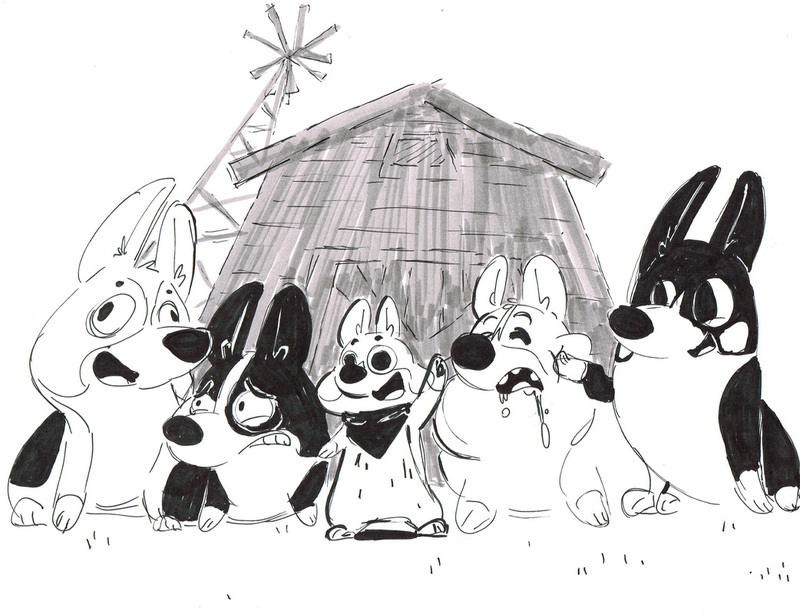 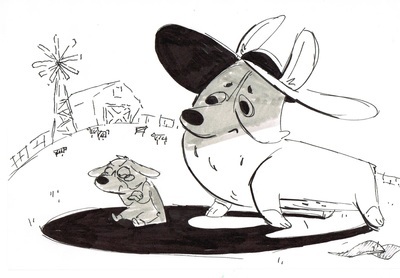 Olive is based off of my very own corgi of the same name. 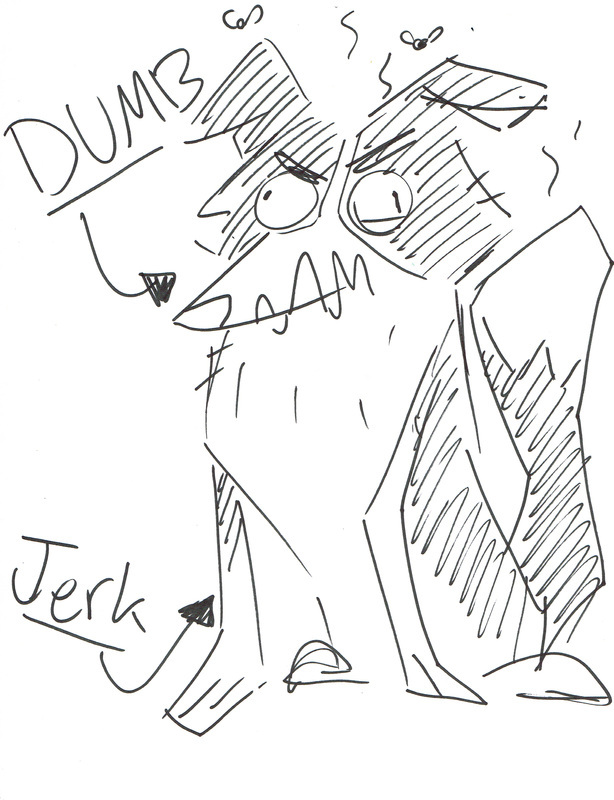 Same spitfire attitude and penchant for trouble. 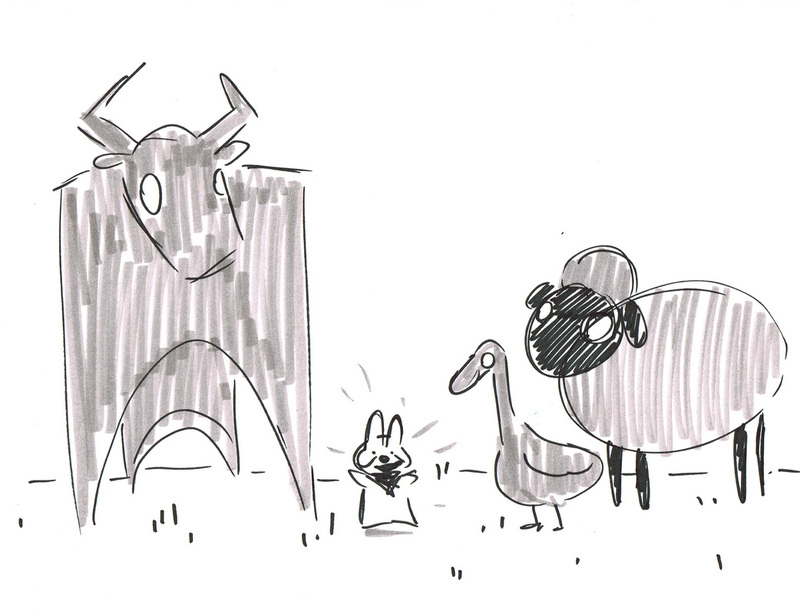 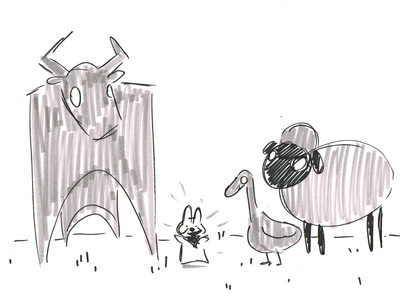 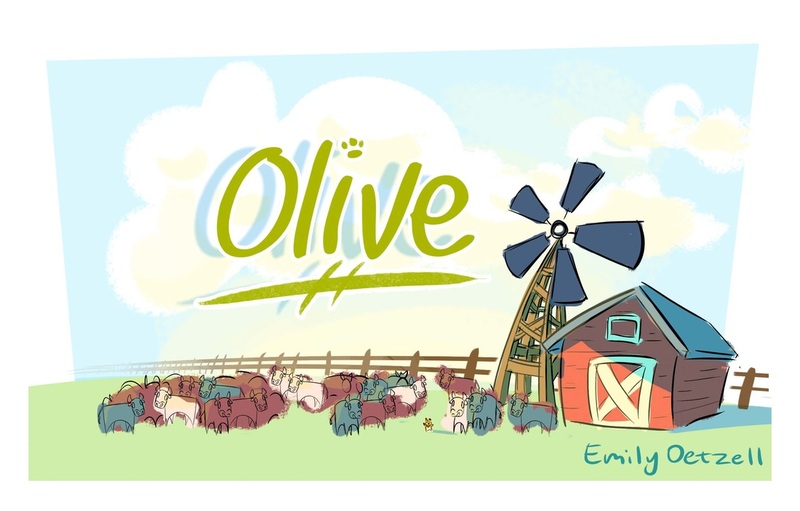 In this universe, only Border Collies are cattle herders but Olive won't let that ruin her dream!